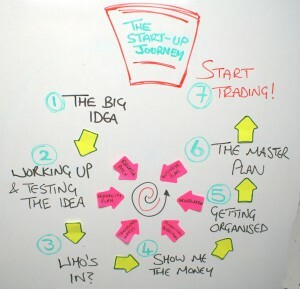 This blog post is the first in a series about the process of starting a Transition Enterprise. In this blog we will attempt to define a Transition Enterprise and look at the very early stages in the start-up “journey”. The bulk of this and the following blogs will form a downloadable guide to starting a Transition Enterprise that will be available in early 2015. 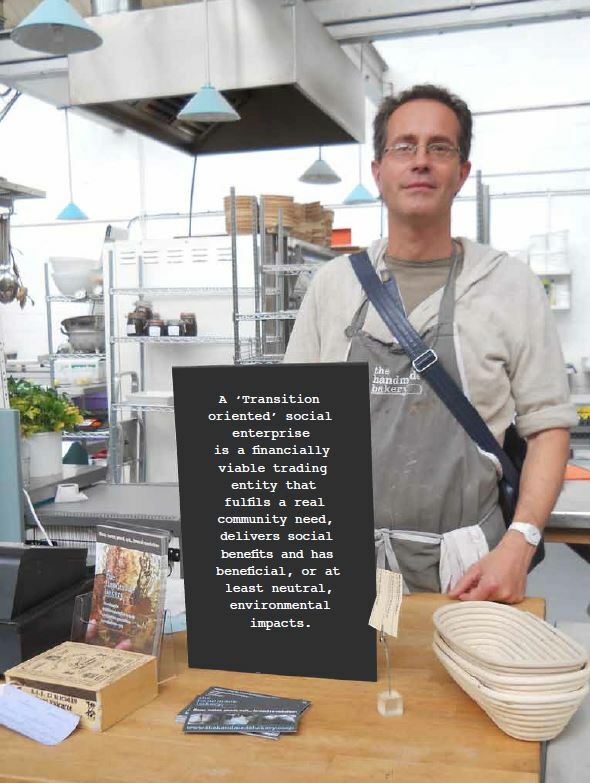 In recent years there has been an upsurge in Social Enterprises, which trade for a social purpose and principally reinvest their profits in the enterprise. A Transition Enterprise is simply a type of Social Enterprise, which, whilst also addressing the sustainability of the enterprise, tends to be anchored in the local community and meet some important need. Many enterprises trade for social purpose but are still an active part of an economic system that is degrading our ecosystem and whilst they can demonstrate financial sustainability their use of resources in particular is unsustainable. Principles of a TE: We suggest these are aspirational, voluntary and self-assessed – not something we expect every single enterprise to fully embrace from the beginning. This is not intended to be used as a ‘kitemark’ scheme. A Transition Enterprise (TE) is a financially viable trading* entity that fulfils a real community need, delivers social benefits and has beneficial, or at least neutral, environmental impacts. * viability means to at least meet costs, and means of exchange other than money may be used. A Transition Enterprise does not have to emerge from a Transition Initiative, it is just the term being used to help identify those enterprises that have the traits which align with Transition principles. A comprehensive overview of the principles of a Transition Enterprise can be seen here. There are many ways to start any enterprise, but however you do it, you are basically involved in a planning and design process. In the beginning – you have an idea or an opportunity arises. Working up and testing the idea – working out exactly what you want to do and whether it’s realistic. Who is in? – you determine who will own and control the enterprise. Show me the Money – you determine your budgets, costs, pricing and funding. Structure – you create the legal vehicle for the enterprise. The Master Plan – you create a business plan of what you intend to do and how you are going to do it. Opening day – you secure your finance and start trading. Many people and communities who thought that starting a enterprise was too hard, not for them or even that enterprise was part of the problem are now realising that it is possible to take ownership of local economies, and create real, sustainable livelihoods in resilient local economies. Starting a Transition Enterprise is hard work but very rewarding. Indeed successful Transition entrepreneurs often go on to be involved in further start-ups. A brainwave. An idea arises from a chance conversation and is scribbled down on the back of beermat. You might come across an enterprise elsewhere and think “we could do with one of those in our community”. For example the Handmade Bakery, in Slaithwaite was the first artisan bakery to adapt the Community Supported Agriculture model and involve their customers as both supporters and investors. Since they began they have inspired many others to develop the model and have even delivered courses in how to do it. An opportunity arises. This might be the sale of a local asset or business or a particular funding pot. For example Unicorn Grocery in Manchester, a medium sized worker co-operative wholesome food retailer, have twice grown as a business in response by seizing such opportunities. Using finance from their supportive customers, they have purchased the building that they formerly rented and have also acquired agricultural land to grow produce for their shop. They also have an excellent “Grow a Grocery” guide to help others start their own Unicorns. A threat may arise, such as an unwanted development or the closure of a valued community asset, which prompts people to consider if there could be a better alternative. For example many communities have taken over their local pub to prevent it’s closure or development into housing. An example of the latter is the Raven Inn community pub in Denbighshire, Wales. The community formed a company that took over the lease of their local to prevent its conversion to housing and the loss of a vital community hub. A positive alternative. You might find yourself redundant or unable to find work after college and decide to create your own livelihood. The Reconomy project have produced a report The New Economy in 20 Enterprises, which includes some of the examples above and many more. Many enterprise ideas never proceed beyond this “Pre-start” stage. After the initial enthusiasm, the cold light of day makes the idea seem less attractive; you may lack confidence or time to develop the idea. You may also realise fairly soon there isn’t a realistic business model for what you want to achieve, and that maybe there are other ways to go about this. For example a campaign to prevent closure of a service will remove the need for you to run it instead. But some of these ideas are are worthy of further work. To be fair even some of the less realistic ones are worthy too as they can often lead to a different workable idea with a bit of reworking. All you are really expending is your time and brainpower at the moment, so you can indulge the ideas and let your creative juices flow. It is likely that someone else has already created an enterprise similar to your idea. Even if your idea is new, you may be applying a model that has been used in another area. A classic example of this was taking the Community Supported Agriculture model and applying it to Bread as the Handmade Bakery did, but others have applied it to Firewood, Orchards and Vineyards. Spend a bit of time researching on the web to try and find these fellow travellers. Maybe go along to a Local Entrepreneur Forum type event, like that of Transition Town Totnes to be inspired by what others are doing. 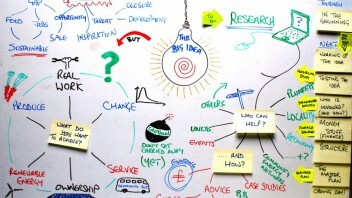 The seed of an idea, worthy of further research and discussion with others. In effect you have only really identified a challenge at this stage and are now starting to explore a solution. You can’t really go too far wrong at this stage, you’re only investing your own time The only thing to avoid is getting too many other people committed to an idea if you’re not sure that you (or anybody else) are going to carry it forward. You should also avoid picking up the phone and taking up the time of support providers, such as those listed below, until you have done a little more work, have read their downloadable resources and are clearer about what you want to do. Working your idea up further, to the point where you can usefully involve others, will be covered in the next blog post. Locality – the leading nationwide network for community-led organisations. Lots of resources, particularly around taking ownership and developing community assets. 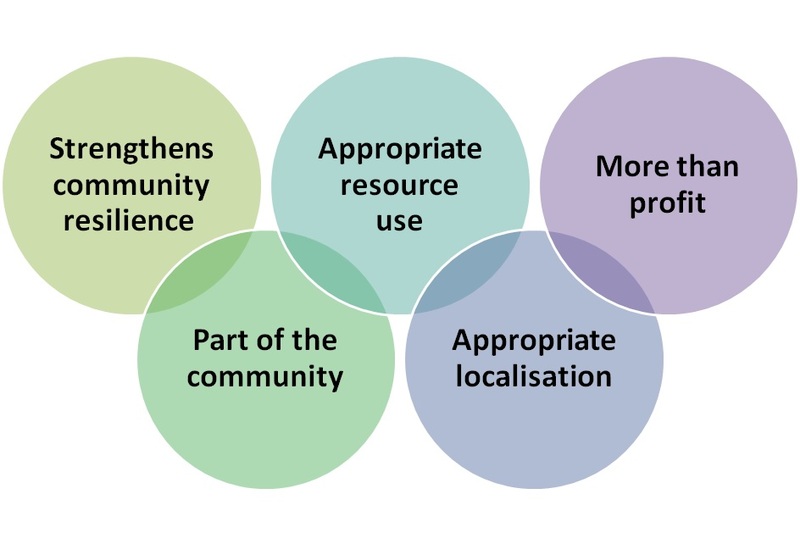 Community Energy England – a not for profit network for the community energy sector. Lots of resources including start-up. Co-operatives UK – representative body for UK co-operatives. Case studies and start-up resources. Plunkett Foundation – development charity, supporting rural community enterprise. Particularly active with community food, retail and pubs. 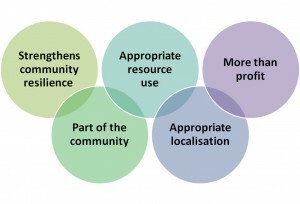 Community Supported Agriculture Network UK – supporting community partnership approaches to sustainable food enterprise. Many resources and case studies. CSA network on Facebook. In the next blog post we will explore the process of working out exactly what you intend to do in Working up and testing your idea. I was reminded that I shared the outline of such a project with Transition several years ago when we tried to apply our social business model to community energy. Thanks very much for sharing this Jeff.